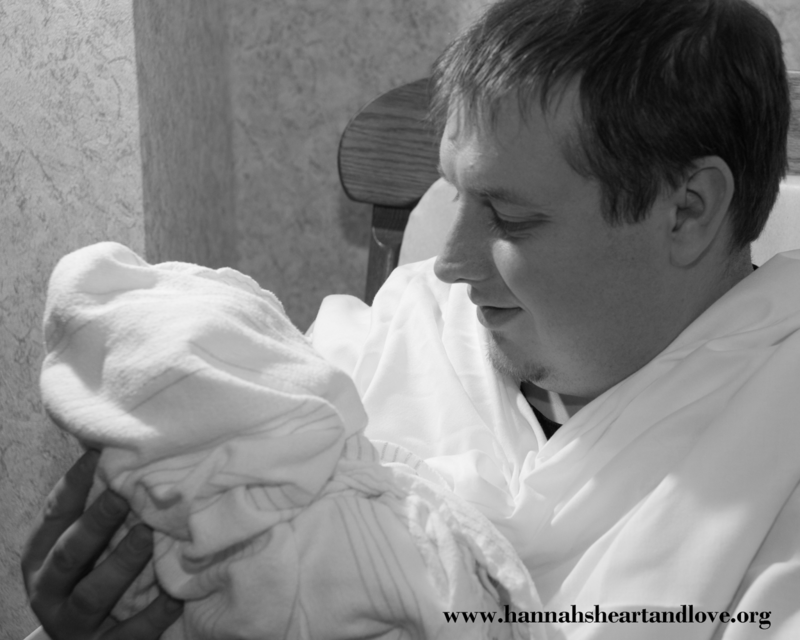 A few weeks ago Heather asked me if I would be willing to write for the blog on Fridays and give a father’s perspective when it comes to baby loss. When I agreed to do it, I wasn’t really sure what I would write about. What could I write about? What perspective do I have to share that could be helpful? The world views a father very differently when it comes to the loss of a child then they do a mother. The loss is much more intimate for a mother, as she has carried the baby. Even now, I find that most people when they see me often ask “How is your wife?” As men, we are expected to move on and that it will not have a long lasting effect on us. I thought a lot about things and realized that even though things are different for fathers and mothers, we as fathers still suffer from loss as well. I can never understand what my wife has gone through. And even though I will never feel her pain, I have pain of my own from this loss. I lost my daughter. Because of this loss, I know that I will never be able to walk Hannah down the aisle on her wedding day. I know that I will never be able to teach her that her Mommy is wrong, girls can watch football too (especially the Cowboys). I will never know the joy of watching her first steps or hearing her first words. There are many things that as a Father, I will never be able to experience. Fathers have grief too. I think that it is something that we need to remember as Fathers and need to recognize for what it is. It is okay for us to be sad as well. It is okay for us to talk about it. It doesn’t make us weak or less of a man. It just makes us a Father who has lost.